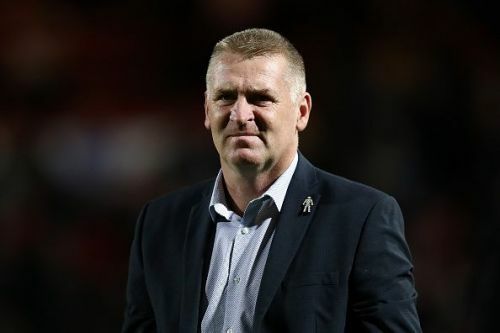 Aston Villa has appointed Dean Smith as their new manager, with John Terry in an assistant managerial role. The club has also appointed Jesus Garcia Pitarch as Sporting Director. Terry and Arsenal legend Thierry Henry were previously set to become the new managerial duo at Villa Park. However, hopes of a legendary managerial duo at Villa Park have been quashed as reports emerged that Monaco are set to name Henry as their new manager after having made the decision to sack Leonardo Jardim. Monaco have reportedly made contact with the representatives of their former striker over the possibility of his appointment as manager of the club. The 2016-17 Ligue 1 champions have been keen on sacking Jardim as the side started the season in poor form, winning only one game in their first nine so far. Speaking of the new appointments, Aston Villa CEO Christian Purslow said, "These three appointments represent the start of a new era and direction at Aston Villa and we are delighted to secure their services after an extensive search." "Dean has a clear and successful coaching philosophy as well as a real understanding of Aston Villa Football Club. He is also knowledgeable about the Championship." "The board welcomes him to the club and is looking forward to working with him and his staff. John is one of the most decorated players in English football, has an affinity with the club and is ready to make the next step in his career working alongside Dean." "And Jesus also brings a huge amount of experience in his particular role having worked with some of the biggest clubs in Europe. He will ensure the club has an integrated approach running from the academy through the U23s and into the first-team." Good morning @georgekay et al @MiSoulTweets I don't do football much, (for good reason) but I am feeling positive regards my Aston Villa, new manager Dean Smith, John Terry assistant coach. It's a good look. Dean Smith is a good coach. What I don’t understand about Villa is why John Terry seemed to be the shout as assistant no matter who got the job.